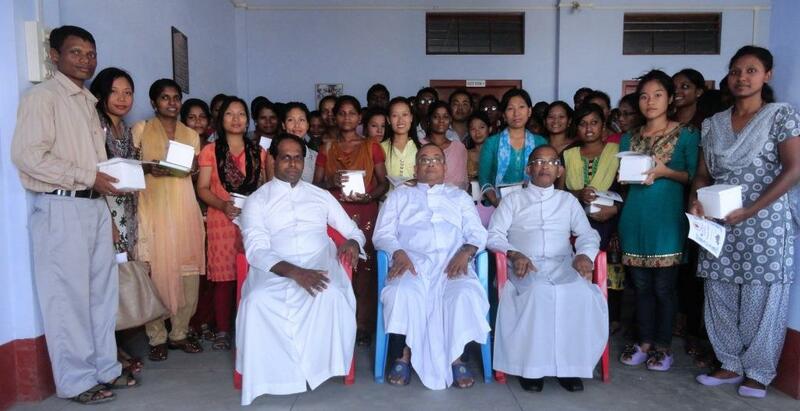 18th August, Tinsukia (Miao): All the Catholic Teachers in the Diocese of Miao came together on 17th August for a Day of Animation by Bishop George on 17th August at Kristu Jyothi Niwas, Tinsukia. Bishop George, knowing the importance of the role played by teachers in the progress of the Society, gathered all the Catholic Teachers in Miao Diocese for a day of Animation. There were 72 teachers from our schools all over the Diocese. Speaking to the teachers, Bishop George said, “You may be getting a less pay in comparison to your friends in some other schools. You may have to work harder and more number of days. But your role as a Catholic teacher is confined to the textbooks and notebooks. It goes beyond to shape the future of these young children under your care.” Citing various examples of the Catholic Teachers in the past, he requested them to give witness to their faith as Catholic teachers. He appreciated the old teachers in the Diocese and requested the young ones to be more committed to their call as Catholic Teachers. Fr. CC Jose, speaking to the teachers, echoed the same sentiments. “Do not look at your pay. But you will have the satisfaction of educating some future leaders of our society and country at large,” he said, while addressing the Teachers. Fr. Thomas Erambil, the Education Commission incharge of the Diocese of Miao, facilitated the animation.